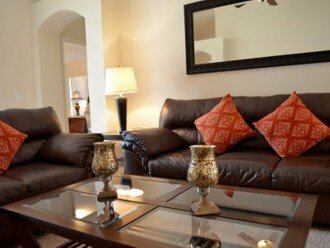 Elegant spacious 4 bedroom, 3 bathroom (2 en-suite), villa, ideal for families . 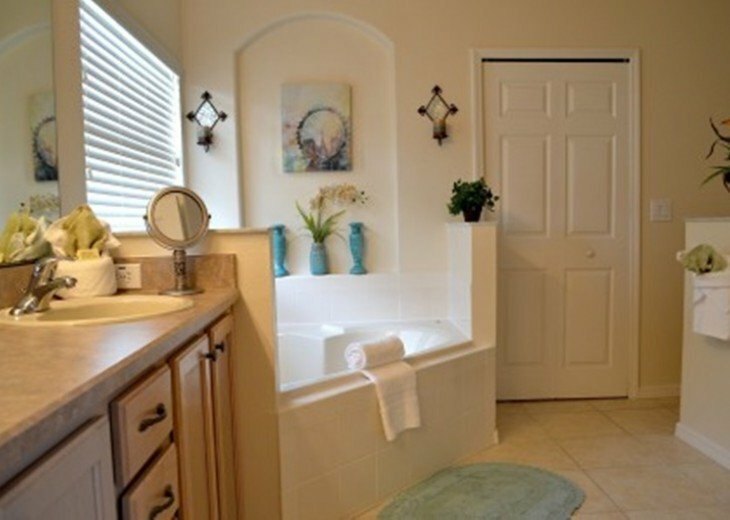 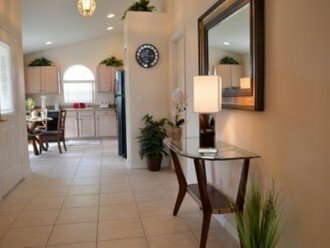 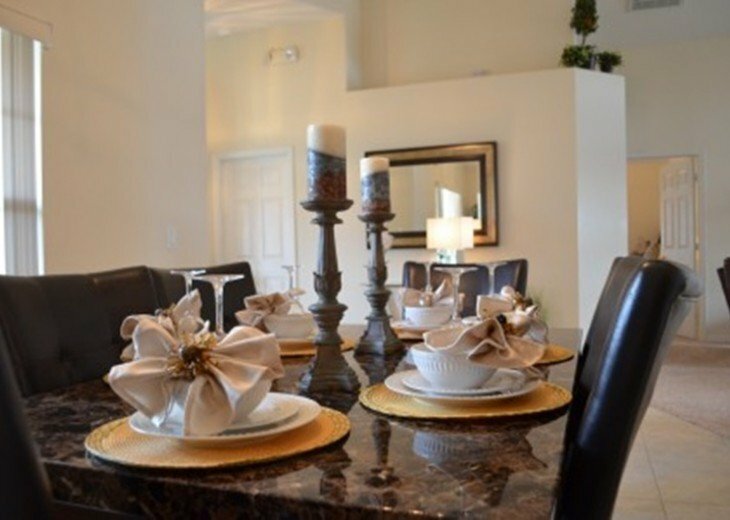 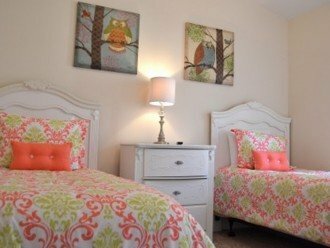 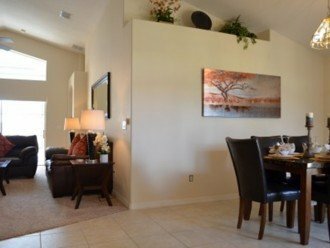 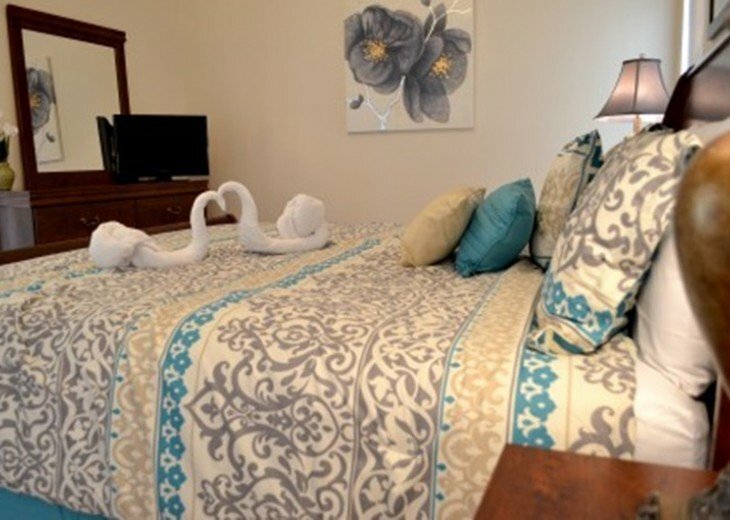 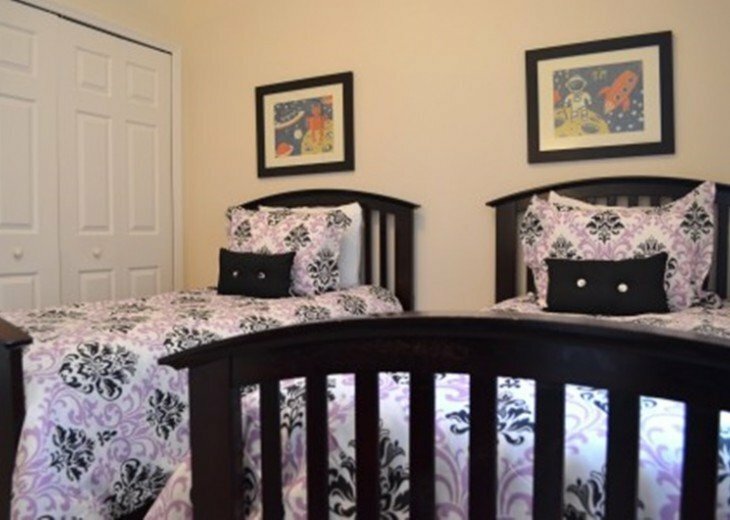 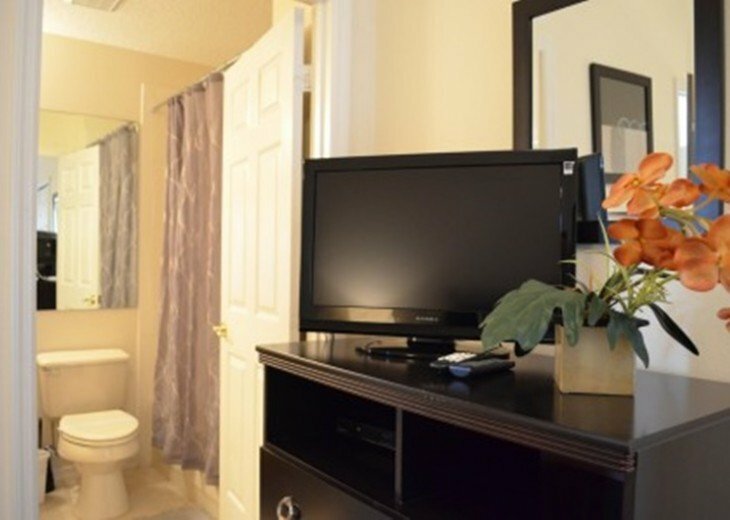 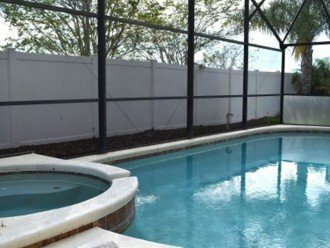 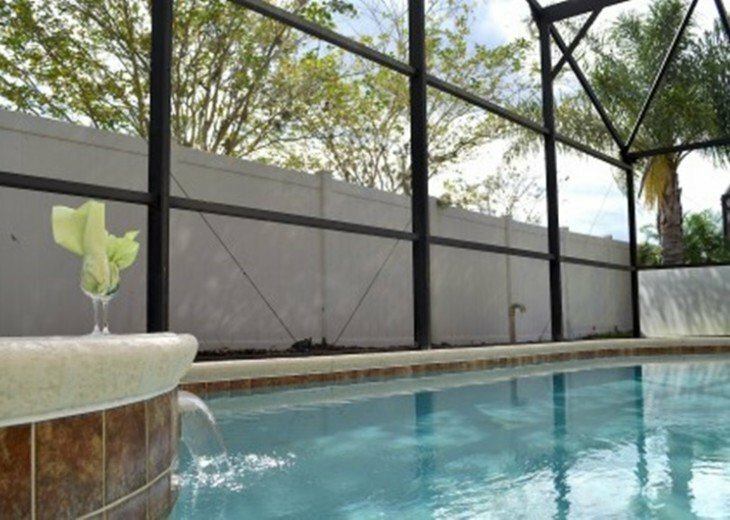 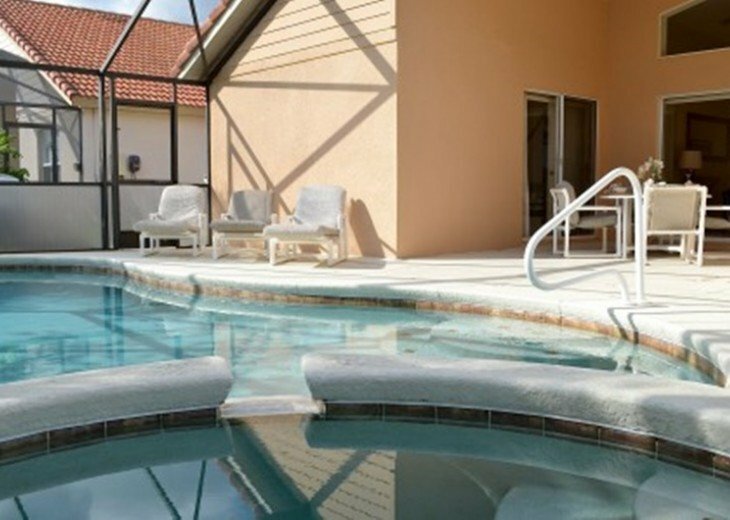 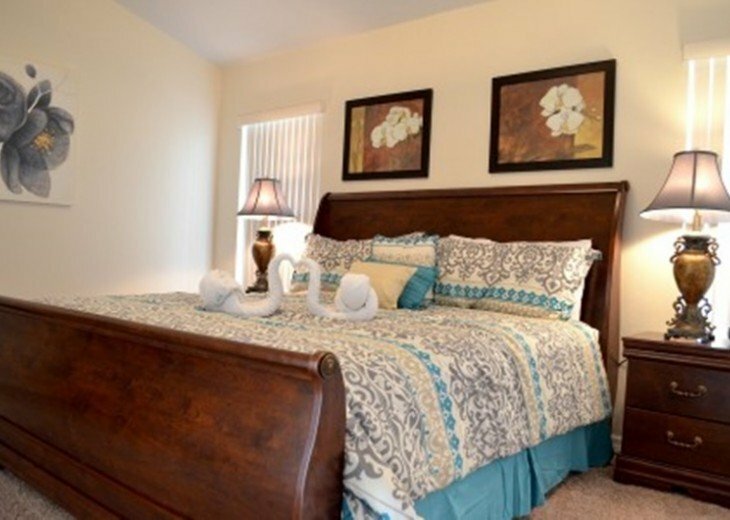 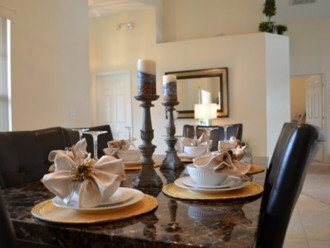 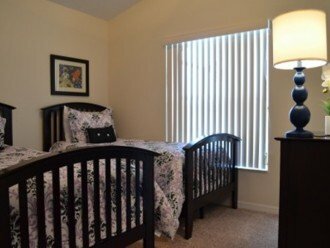 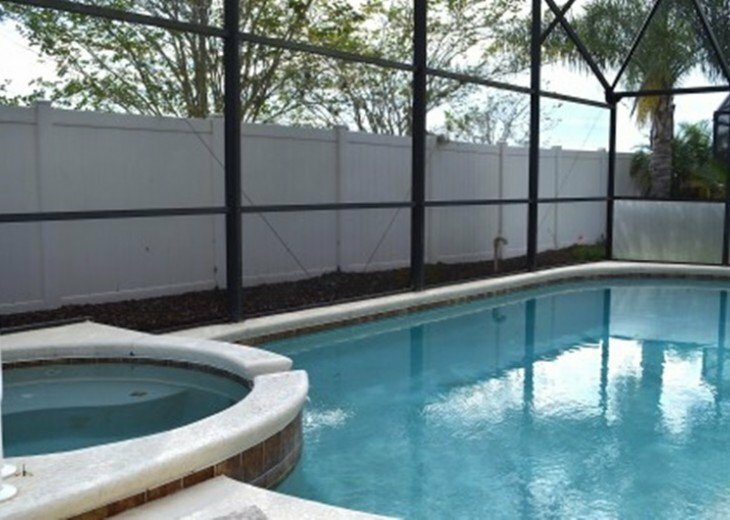 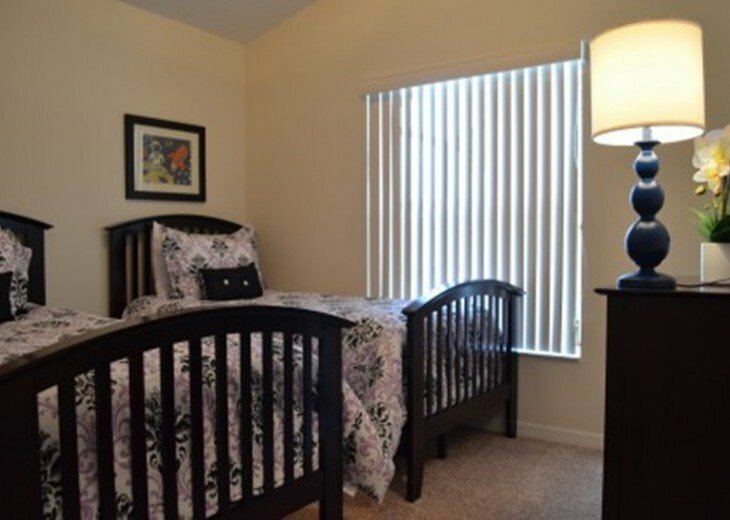 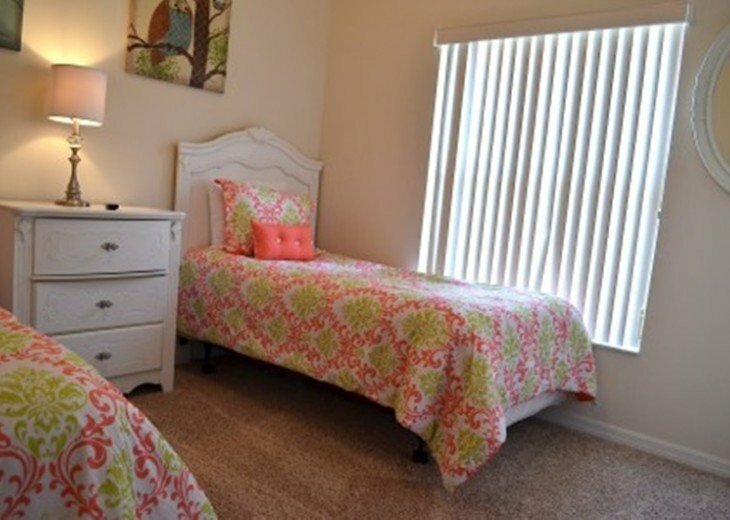 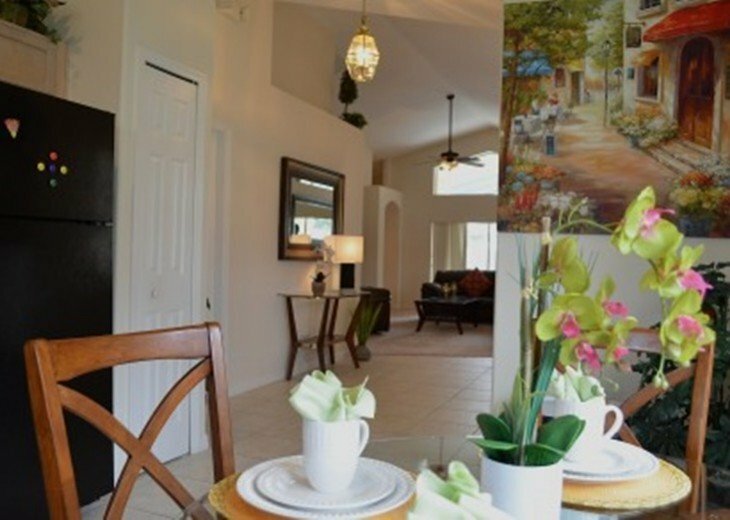 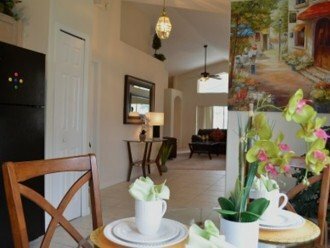 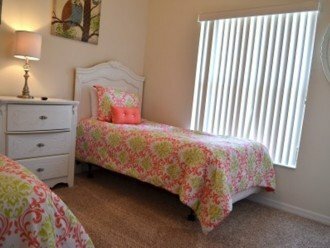 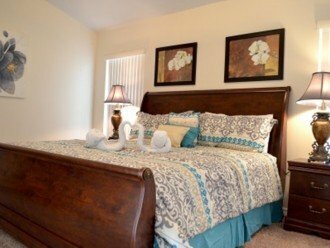 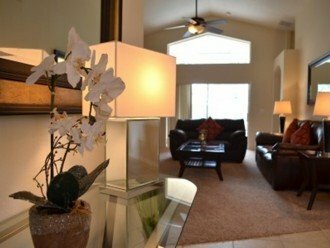 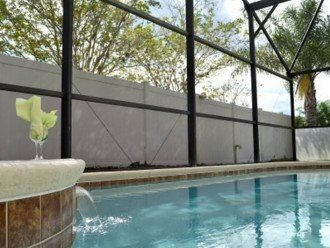 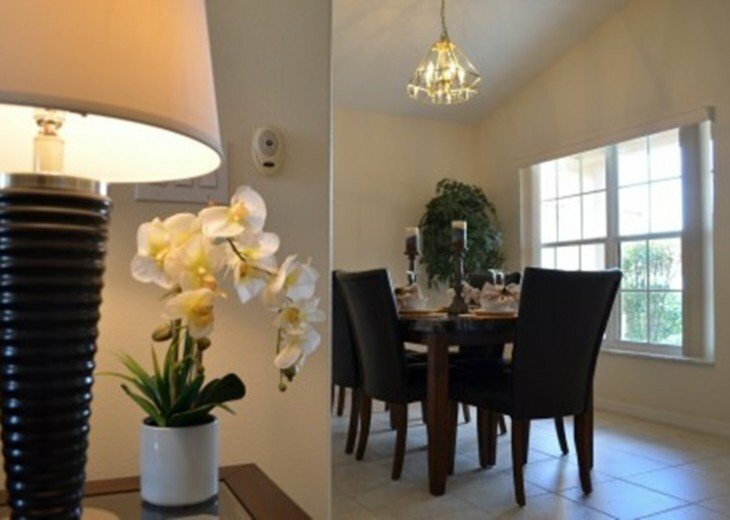 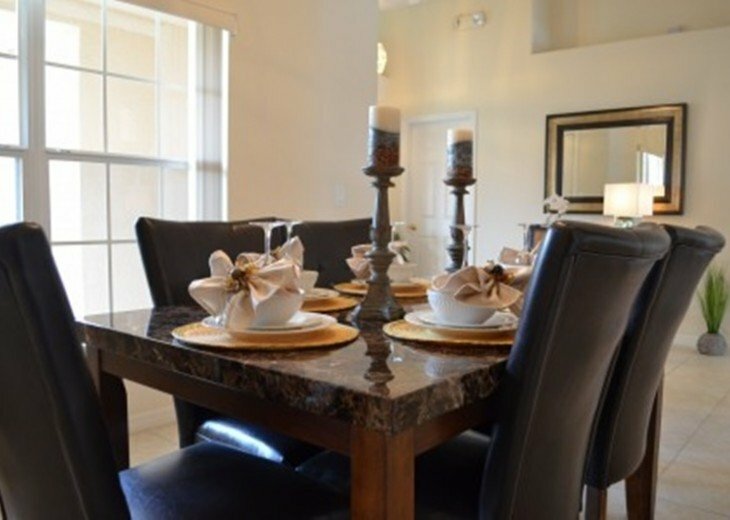 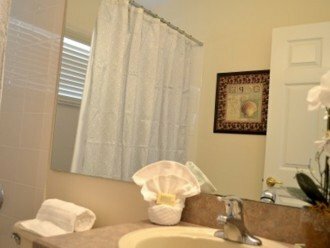 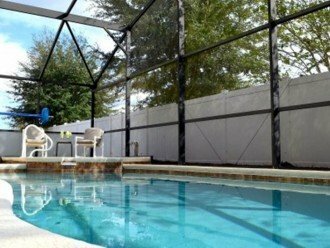 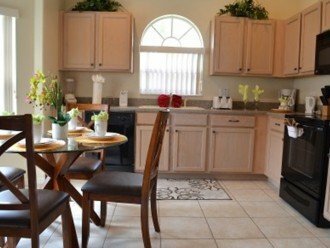 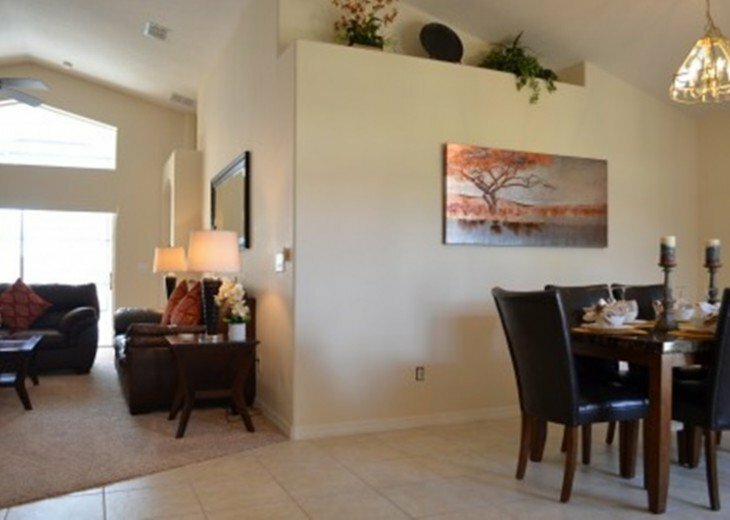 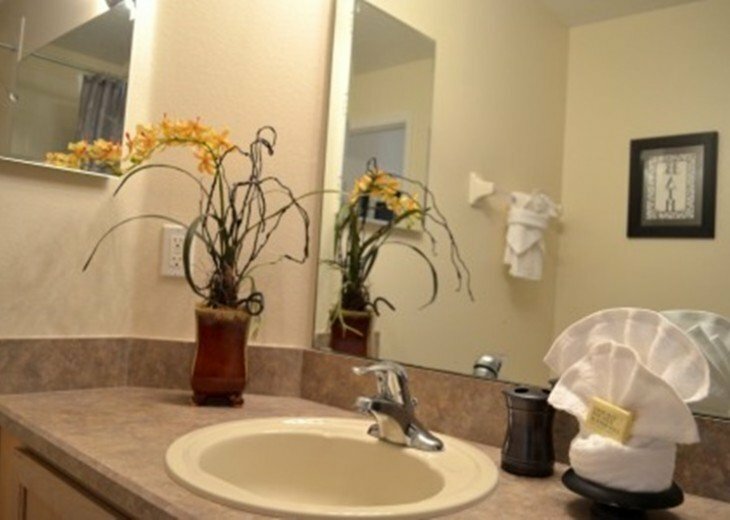 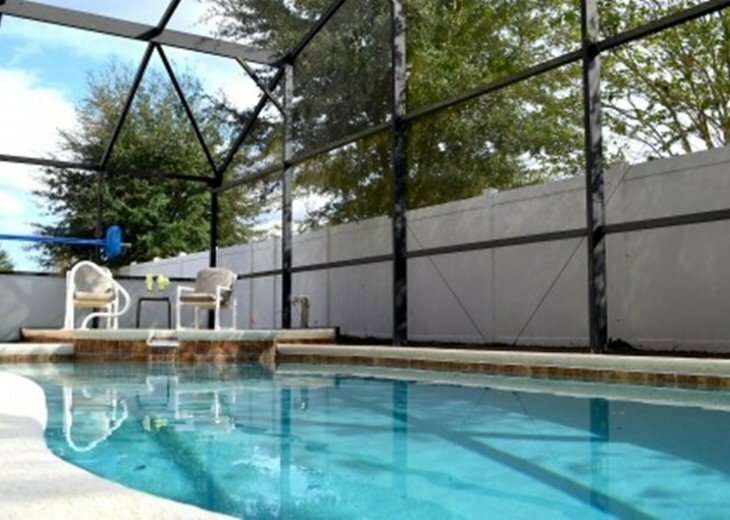 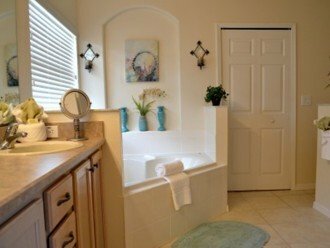 Our home is strategically located for quick and easy access to Disney World, Seaworld and Universal as well as travel to the beaches and attractions of Tampa, Busch Gardens and Kennedy Space Center. 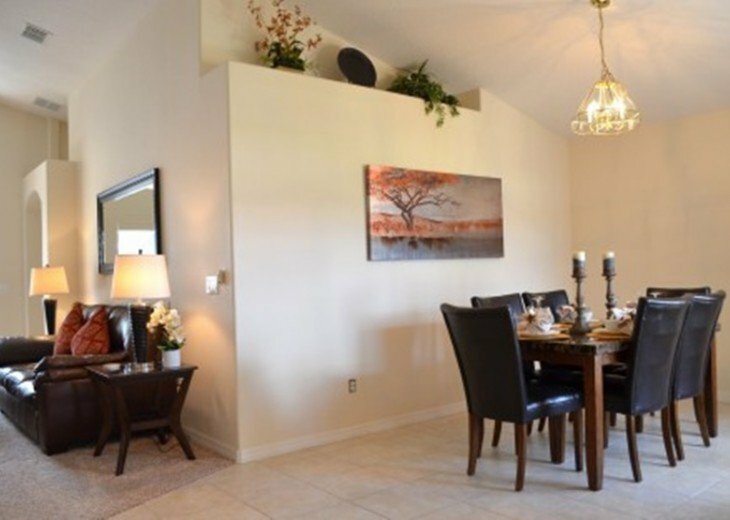 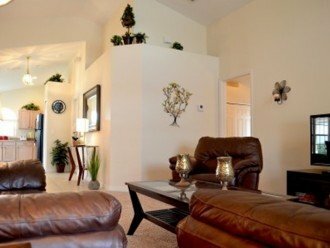 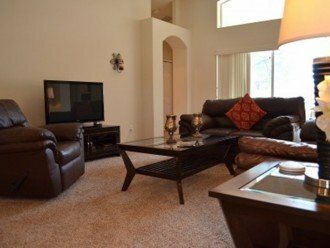 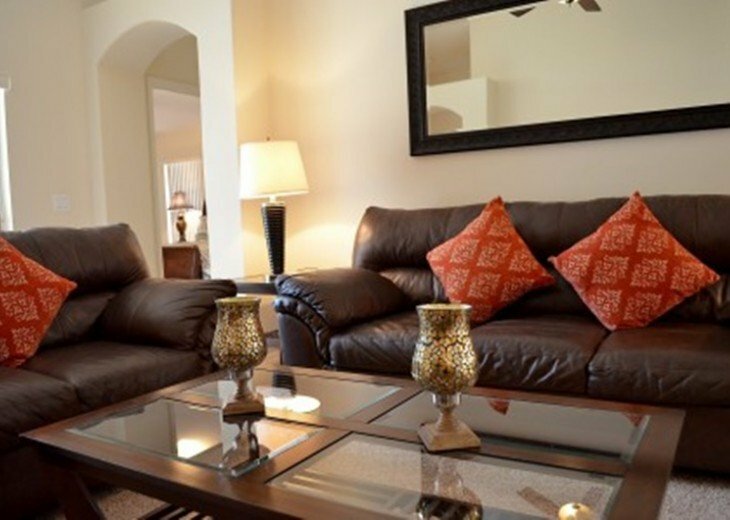 Fully air-conditioned, our spacious comfortable home has a great Lounge and Great Dinning Room Area, the breakfast nook and the more formal dining area that provides a venue for the more formal family meals. 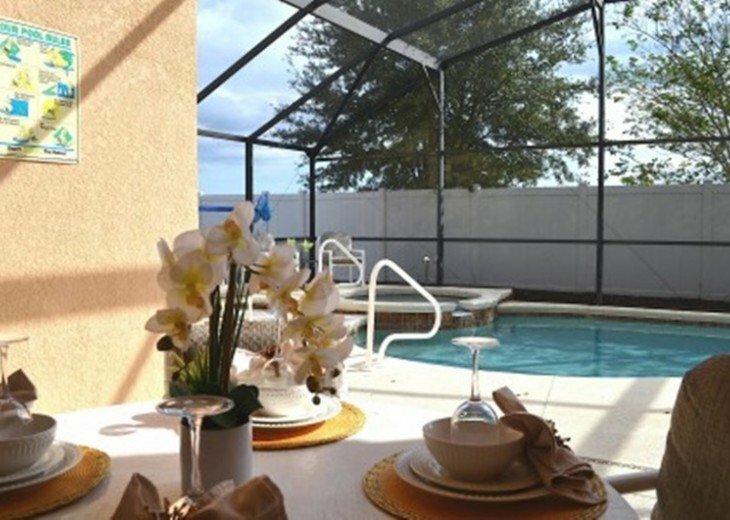 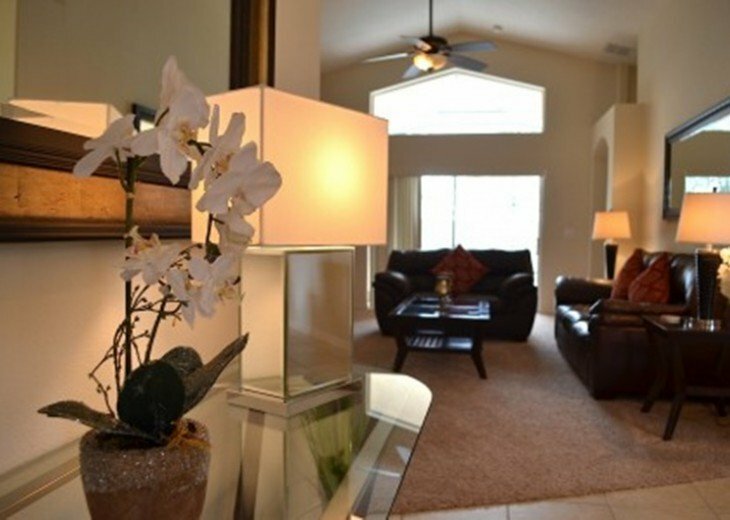 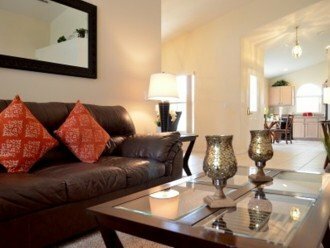 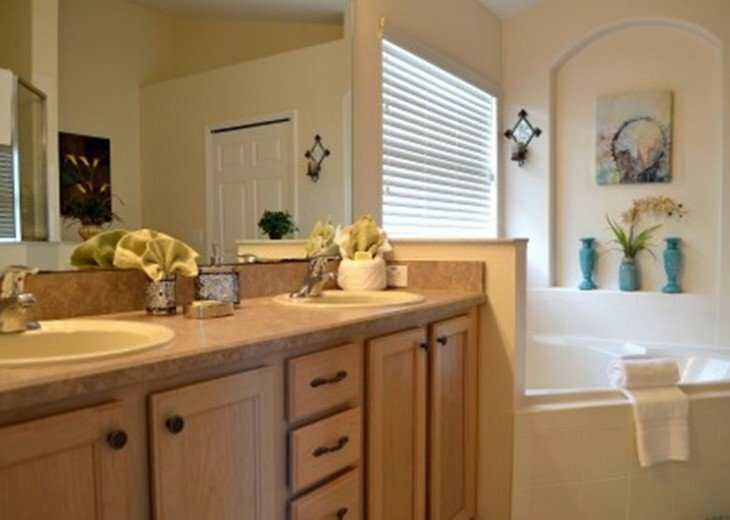 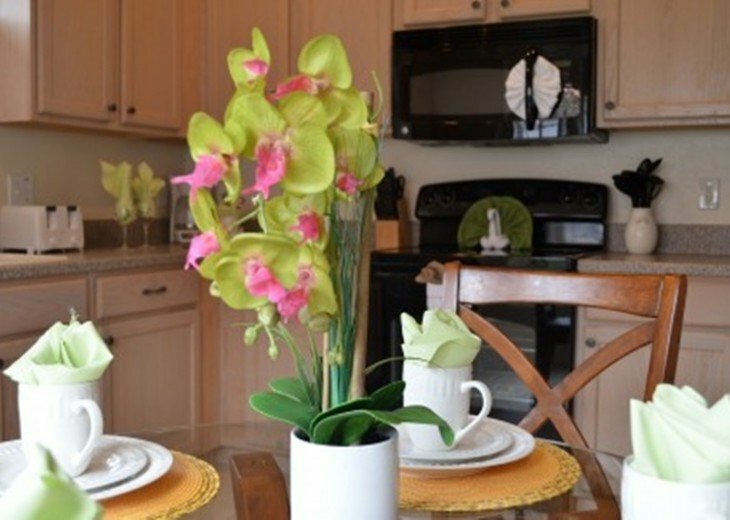 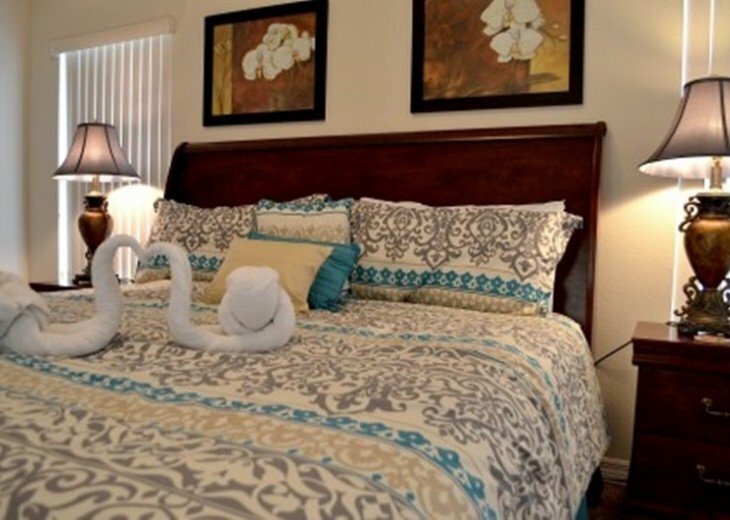 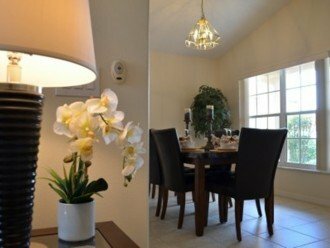 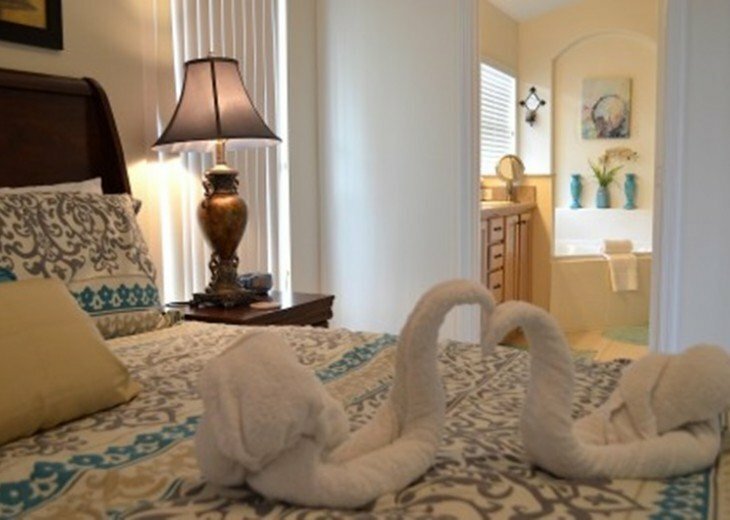 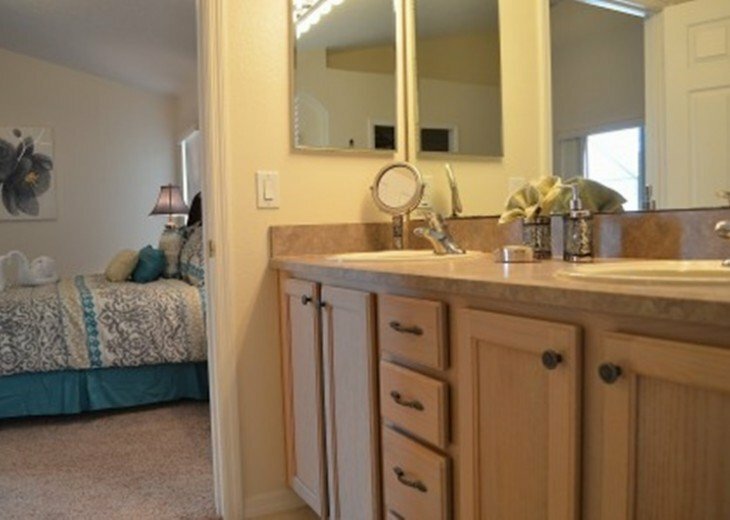 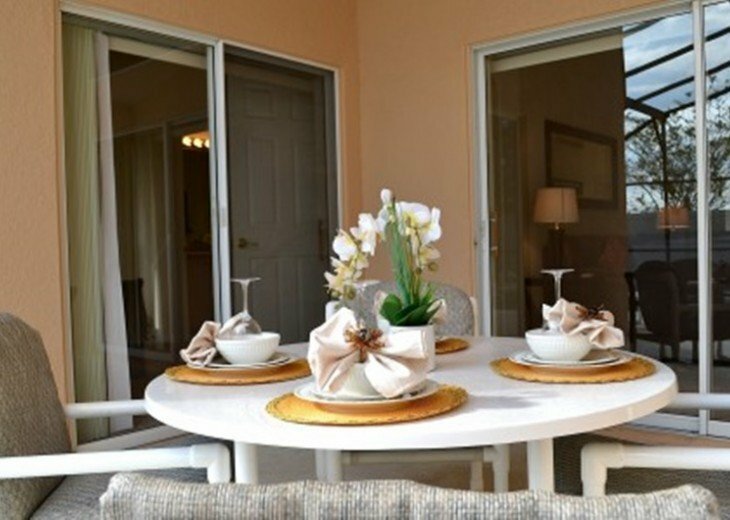 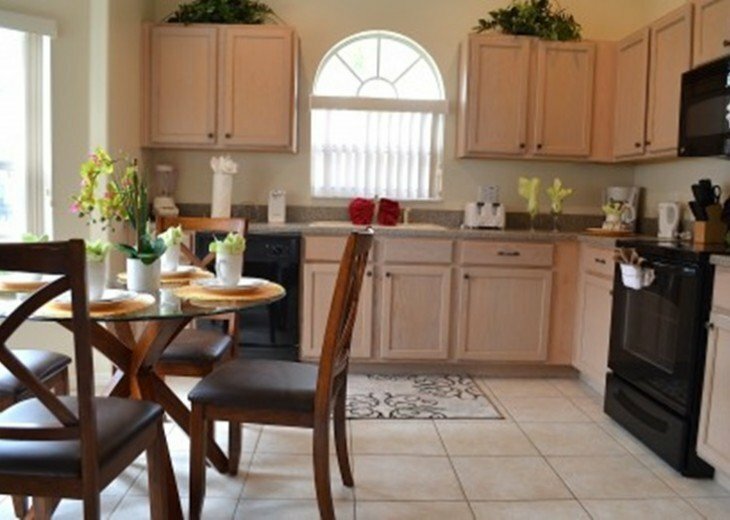 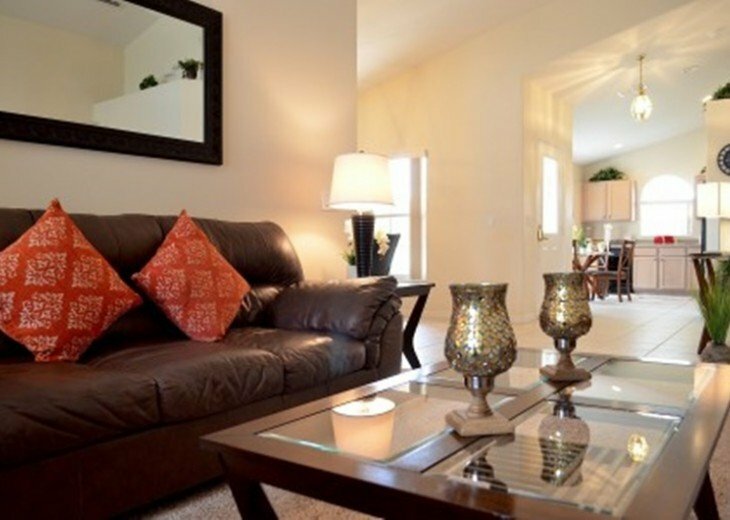 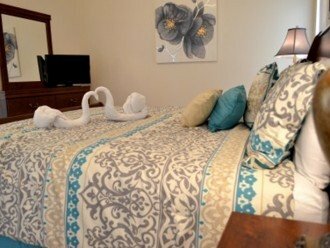 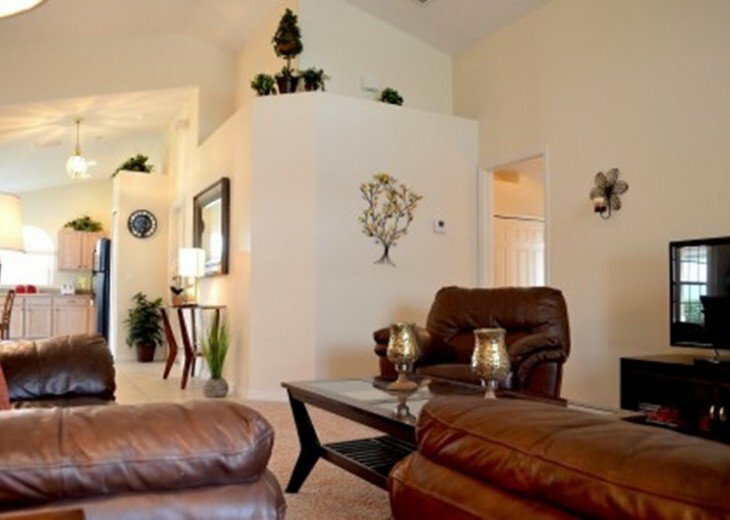 The resort community is gated and has a club house and pool, cyber cafe, fitness center. 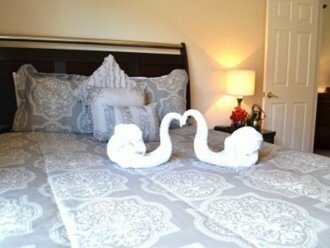 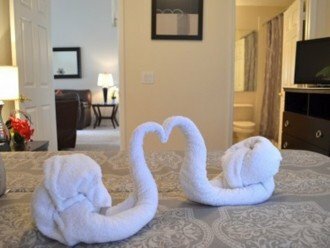 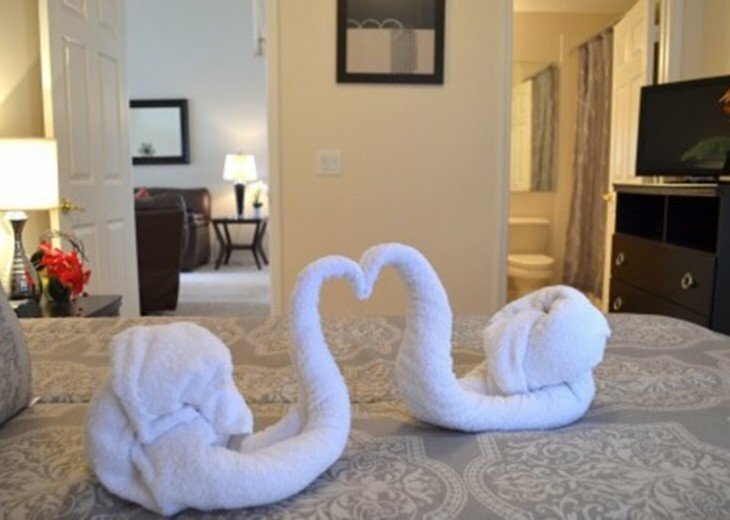 The main master bedroom suite is luxuriously furnished with a HUGE comfortable king bed and a Flat screen TV and of course an en-suite bathroom, featuring a large roman bath and a separate walk-in shower. 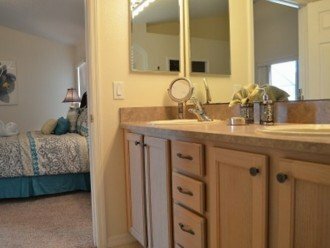 There is also a large walk in wardrobe. The remaining two twin bedrooms, both contain two beds in each room, along with flat screen TV's, they share a bathroom between them and have been newly decorated and furnished.You'll be able to relax around our large 26 by 13 foot SOUTH facing pool with Spa using our luxurious deck furniture or just lie back and enjoy the bubbles in our superb spa. 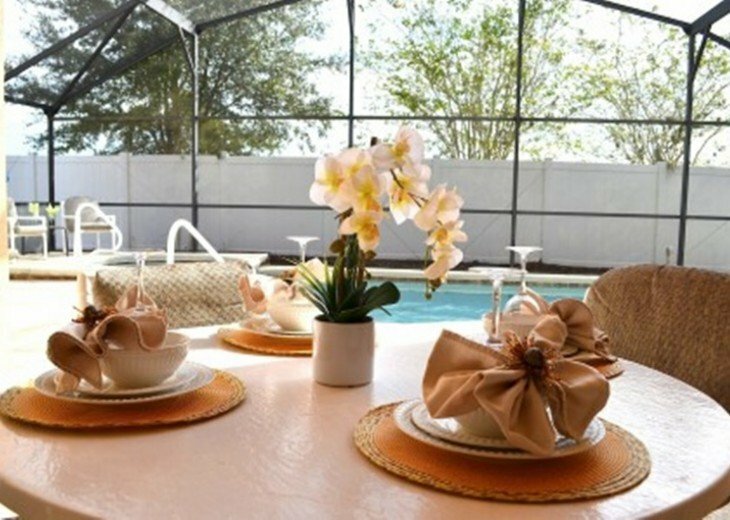 The rear of the villa is South facing so you will get the sun entire day ! 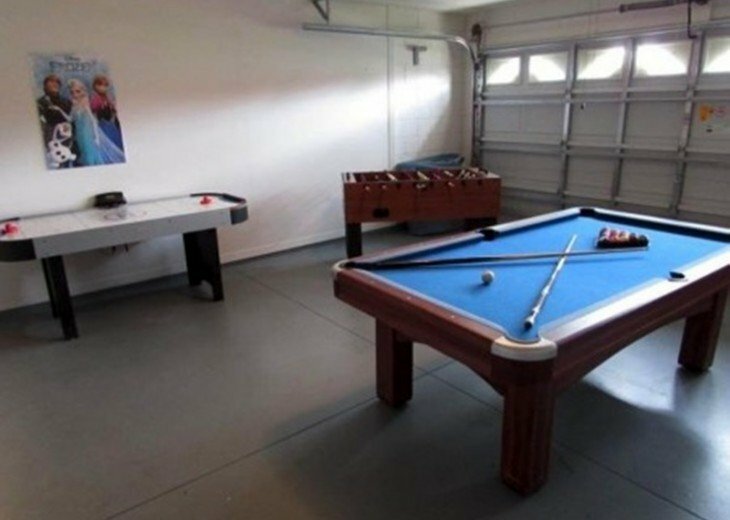 The Villa also has a High Chair, Cot/Pack and Play and Pushchair / Stroller, should you need it.We have also turned the garage into a games room, with a pool table, air hockey table and football table ! 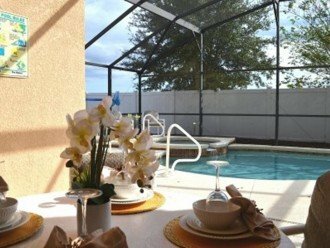 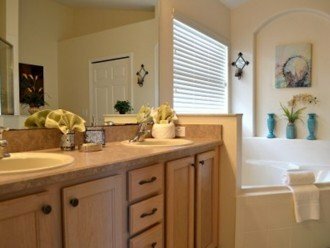 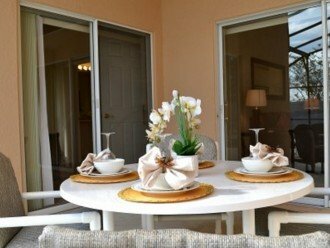 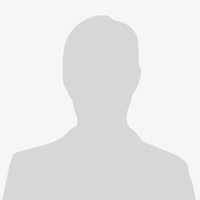 .The Solana Resort itself is a popular gated community with 24 hour security to provide a safe vacation environment, the resort has a large clubhouse full of extra amenities to make your holiday even more enjoyable.On site facilities include a 6000 sq. 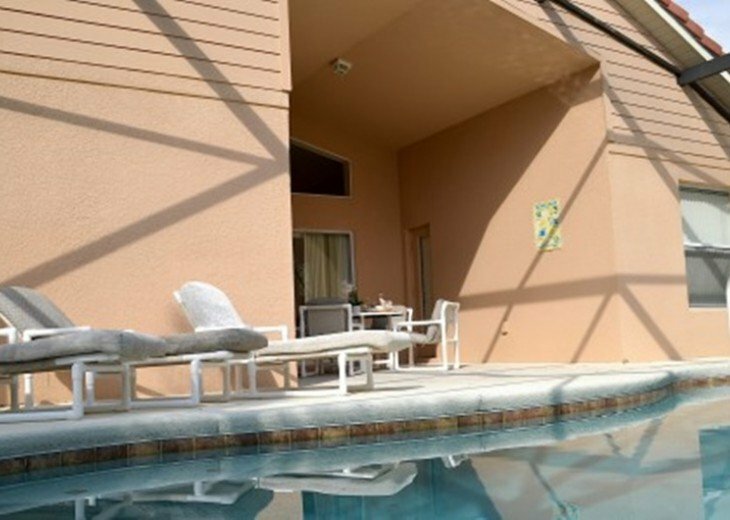 ft. club house with a gym, 18 hole mini-golf, outdoor jacuzzi spa, play park and beach volley ball court.The resort also organises many indoor and outdoor activities for adults and kids ALL day and the communal big screen along with their extensive DVD collection is great.There is also a fantastic tiki bar on-site which serves food and ice cold beer! 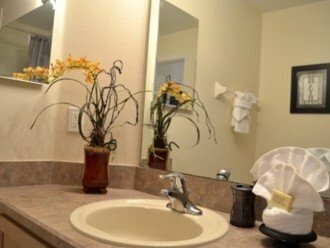 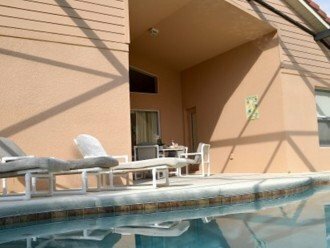 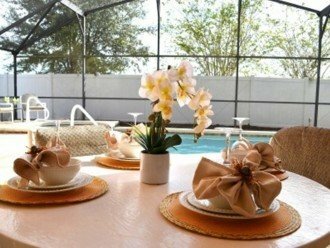 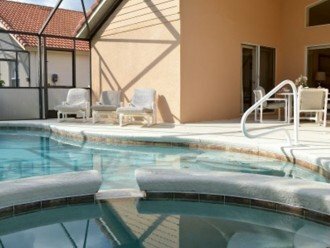 The resort is only 10 minutes to the parks and close to all of the best restaurants, bars and attractions, as well as being close to both the 192, 27 and the main motorway (I4) to the Beaches, Tampa, Orlando and Cape Canaveral.We are only 5 minutes from 2 of the best glof courses in Florida. 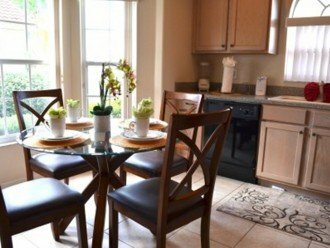 There are plenty of nearby shops including Posner Park, Berry Road Plaza and Cagan Crossings, these include cinemas, restaurants, bars, take aways, artisan food shops and superb large supermarkets.The 192 has a massive range of very good and inexpensive bars and restaurants and Im happy to give you my recommendations.WalMart and Publix are 3 and 2 miles away respectively. 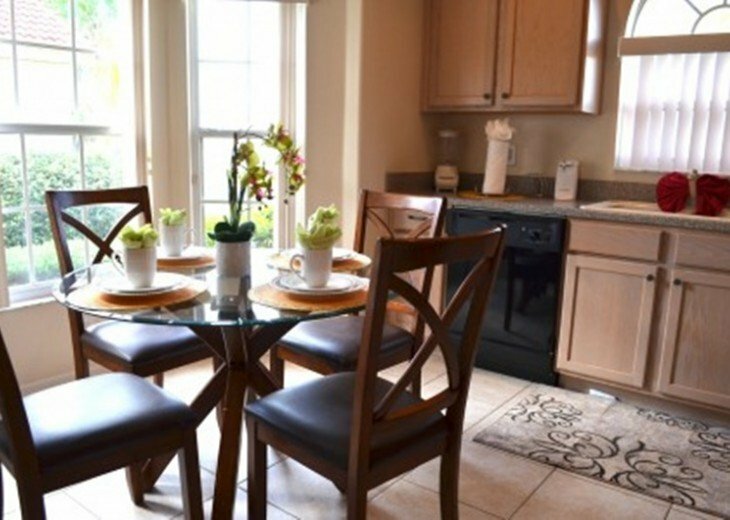 If you want to really shop then we are only 12 miles (approx) from the renowned Florida and Millenium Malls and only 10 miles to the fantastic Orlando premium outlet shopping park, for all of your designer needs.We have tried to create the very best environment to hopefully provide your family the most enjoyable family holiday vacation possible, our location is close to all the attractions that you could possibly wish to visit and the property has all amenities and luxuries.